Surfing Life’s very own Andrew Shield is on the ground in WA gathering up little treats for all of our eyeballs. 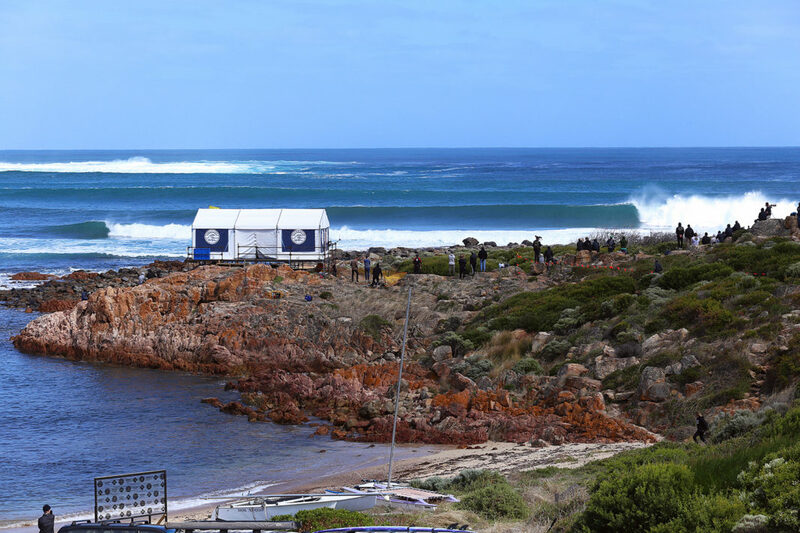 Take a look at Day one of the Margs River Pro at North Point. 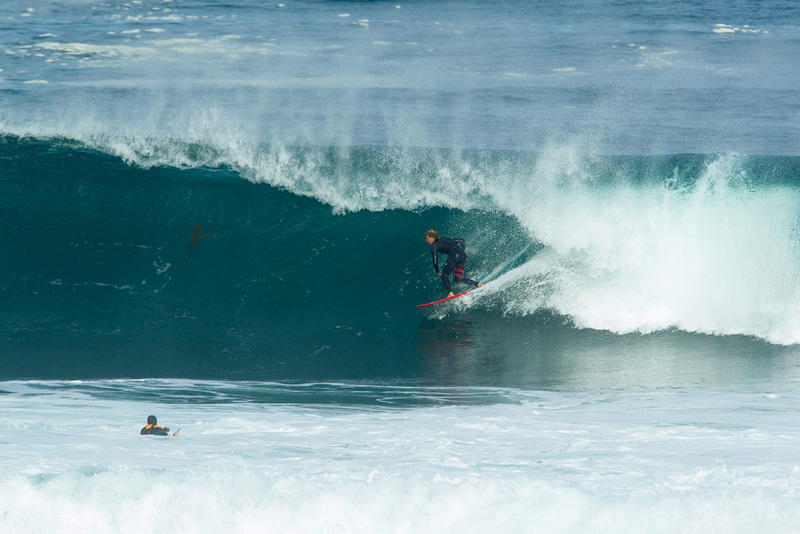 It was a historic day, in the first heats of a ASP/WSL ever being surfed. The day wasn’t overly memorable though. 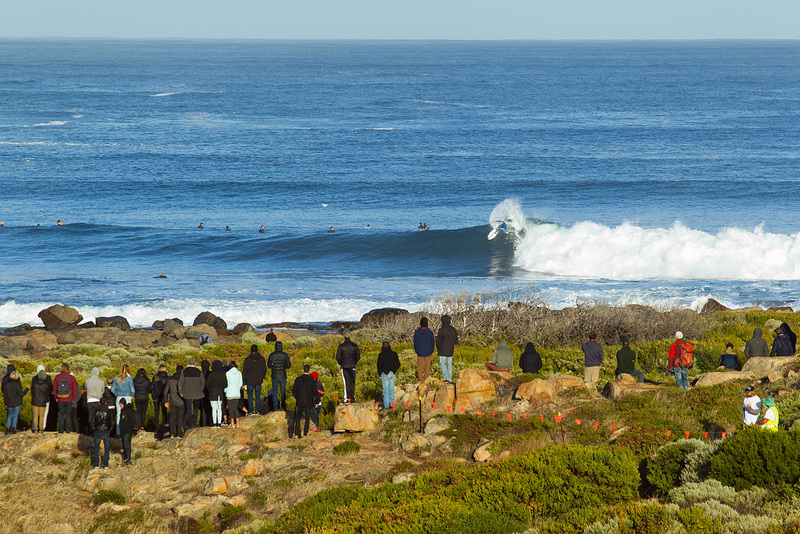 The swell had too much south in it, and to get into the bay here at North Point, it needs an element from the west. Still, there were glimpses on the outgoing tide of how good this wave could be. And then on the very last wave on the last heat of the day … Seabass delivered a genuine “OH HELL NO!” moment when he went Captain Caveman and threaded the most impossible barrel. Nat Young was the best surfer on the day who didn’t win his heat. Had he drawn anyone not named Jordy Smith or Seabass, he’d have the day off today. It’s strange for an Australian event to have to the two most experienced people out there be from other countries. But that was the case with John John and Jordy Smith. They’ve spent more hours out here than the whole rest of the WSL top 34 combined. The current ratings leader, O. This event will test Owen in ways Snapper barely scratched the surface. Heavy ocean slabs at the box await Owen in his round two heat today. How will he handle that different kind of fear which he overcame at Snapper? 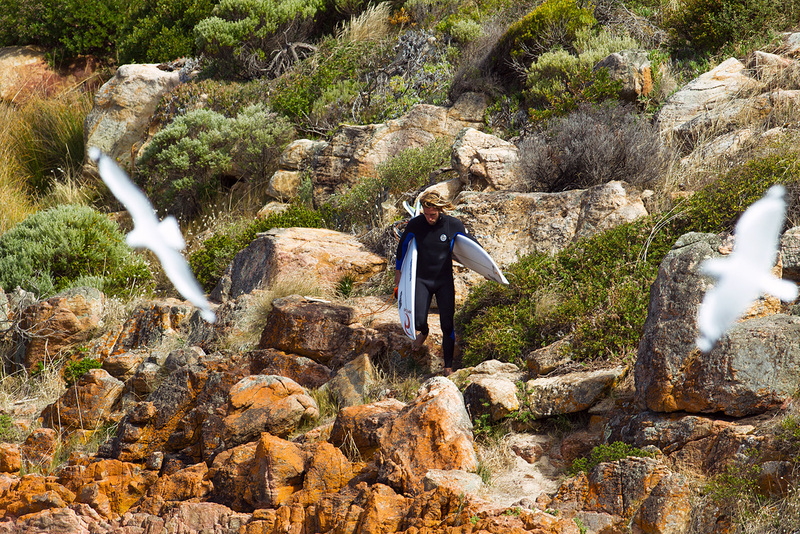 Wildcards don’t get much more dangerous than Marg’s local, Jacob Wilcox. 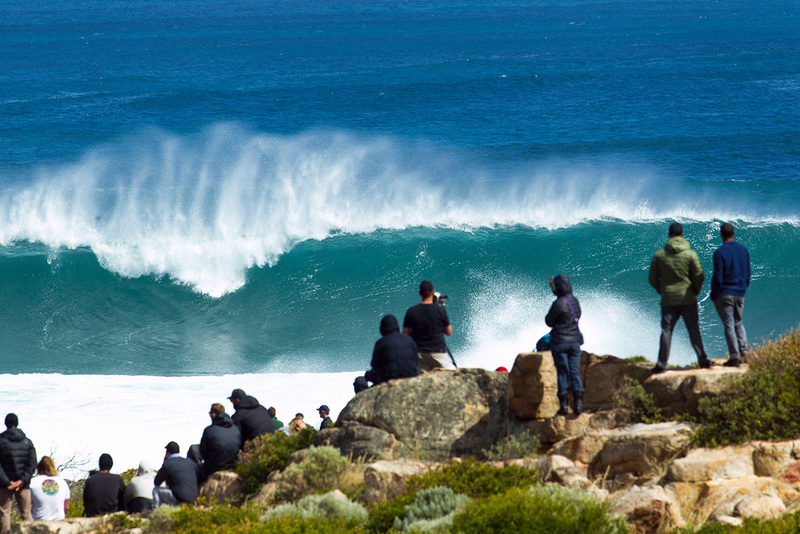 He’s no stranger to big events after he was the Rip Curl wildcard at Bells Beach in 2013. He thrives in big shifting ocean breaks and big slabbing barrels. And there’s plenty of that on tap in the forecast this week! Kelly Slater featured in the first heat with Mick Fanning and while it promised the world on paper, it didn’t deliver as the ocean stalled. There’s two ledges at North Point, an outside and inside ledge. When the swell is around six foot it doesn’t really hit either ledge. Kelly and Mick were left somewhere in the middle and between them averaged a dismal 3.15 wave score. Matt Wilkinson makes his way down for a few warm up laps in the early morning North Point glow. Jack Freestone put plenty of time in the warm up session and was one of the standouts … his heat one win was testament to his hard work. The Old Master doing what old master’s do. 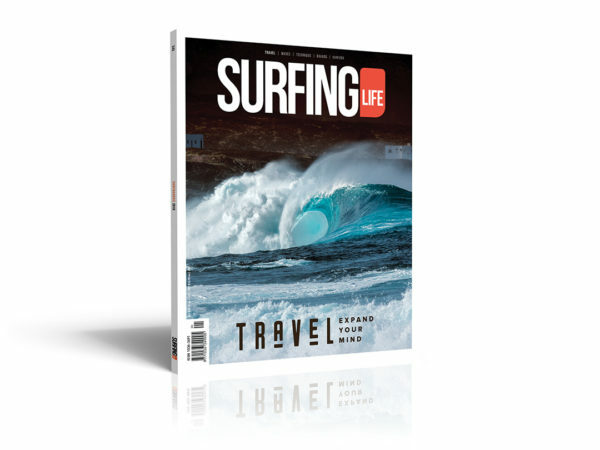 Making things which are essentially out of reach for most surfers, look really bloody easy. The North Point barrel is not an easy assignment. Another absolute standout in the free surfs who won’t wear a contest rashie was Kael Walsh. 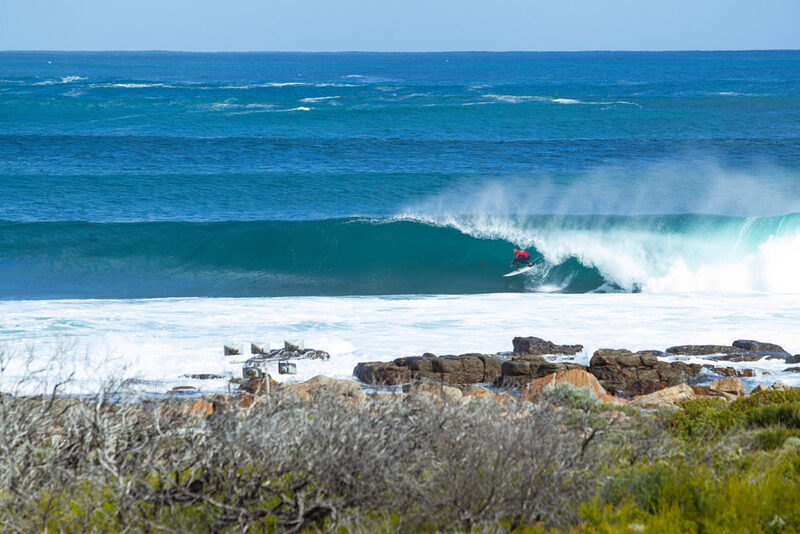 The 17-year old standout from down the road at Yallingup would have been a worthy wildcard to ruffle some WSL feathers. Instead the WSL inexplicably gave the wildcard to QS ratings leader, Jesse Mendez. Another case of the WSL not looking at the local picture and repaying some of that back by way of local wildcards.